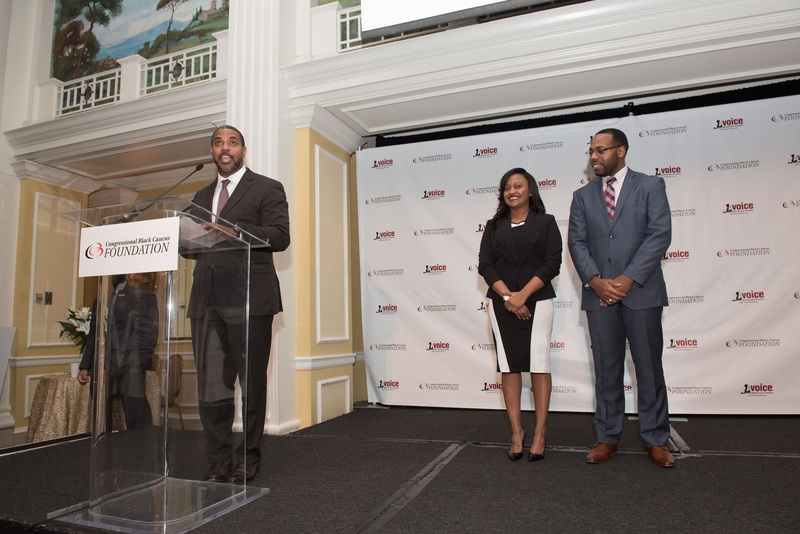 WASHINGTON— The Congressional Black Caucus Foundation, Incorporated (CBCF) today announced that former Nevada Congressman Steven Horsford’s Washington, DC-based firm, R&R Resources+, will donate $60,000 to support the launch of the CBCF’s Pathways To The C-Suite, a new internship program that engages African-American college students in private sector career and leadership opportunities in Washington, D.C.
For forty years, the CBCF has successfully identified, recruited and placed African-American undergraduate and post-graduate students in internship and fellowship programs on Capitol Hill. To ensure that future leaders have an opportunity to experience how public policy is influenced and developed at every level of the process, the CBCF is expanding its internship program to include placements in the private sector through the foundation’s newly launched Pathways to the C-Suite. Through the partnership with R&R Resources+, the CBCF and R&R Resources+ will develop a platform to engage African-American students in opportunities to experience public policy development beyond Capitol Hill; and build strategic partnerships and collaborative leadership development opportunities with C-Suite executives to diversify the corporate leadership ranks now and in the future. 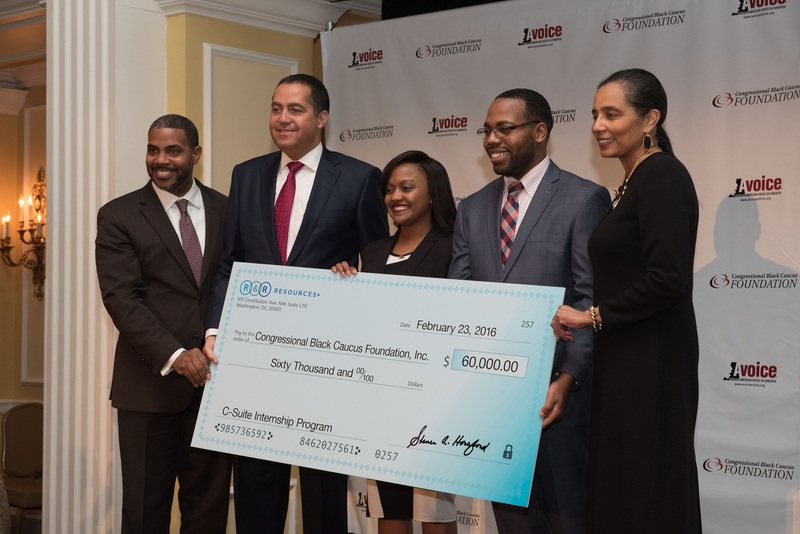 The $60,000 donation from R&R Resources, will fund housing and a stipend to host at least four interns in the CBCF C-Suite internship program throughout the 2016 calendar year. The interns will receive first-hand experience at the marketing and advertising firm, whose portfolio of clients include MGM National Harbor, MGM Resorts International, Allegiant Airlines, the Tunica Biloxi Tribal Council, PwC and the American Gaming Association. Horsford’s team of professionals at R&R Resources+ specializes in strategic communications, brand management, public relations, social media, media planning and placement, as well as workforce strategy and corporate social responsibility. The firm maintains offices in Prince George’s County, Maryland; Washington, DC; and Las Vegas, Nevada. The Congressional Black Caucus Foundation, Incorporated, established in 1976, is a non-partisan, non-profit, public policy, research and educational institute intended to broaden and elevate the influence of African Americans in the political, legislative and public policy arenas. For more information, visit https://www.cbcfinc.org. R&R Resources+, a certified minority business enterprise, is a full service agency offering strategic communications and brand management; creative development and execution; traditional, digital and social media planning and placement; public relations and corporate social responsibility initiatives. R&R Resources+ delivers workforce development and training strategies to companies that seek to hire skilled personnel that reflect the demographics of the communities in which they do business. 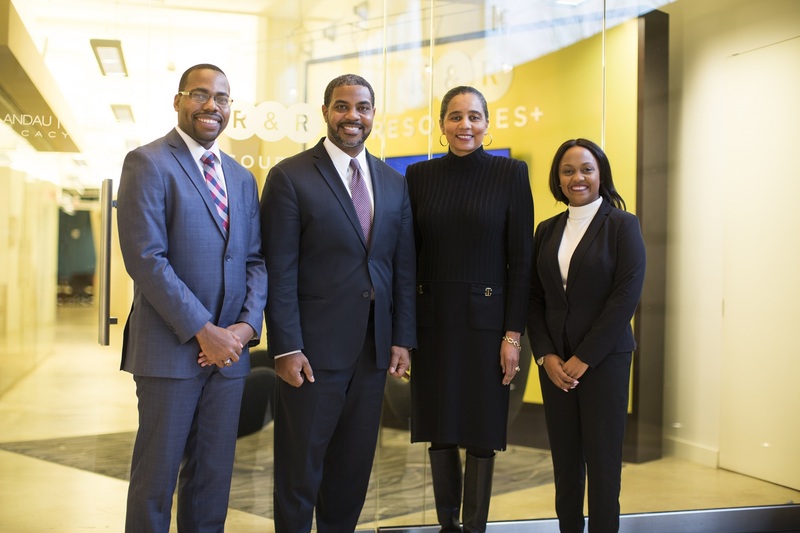 As a Minority Certified Business, the firm’s principals have decades of experience in fostering authentic, meaningful partnerships that result in successful workforce strategies and innovative approaches to communicate corporate social responsibility solutions. For more information, visit us at www.rr-resourcesplus.com.